Little Hands at Hamilton's is a three session grief program especially for children which is held periodically throughout the year. 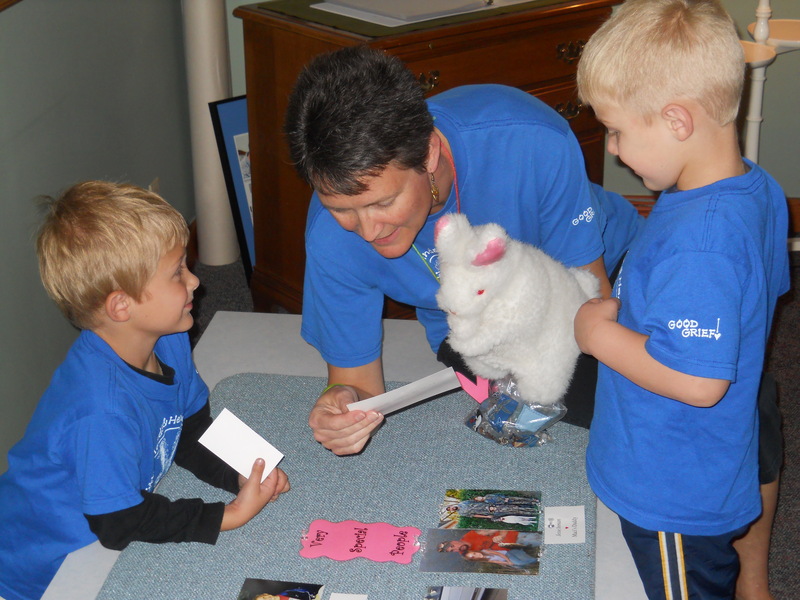 This program is designed to help children begin to recognize and understand the many feelings associated with the death of someone loved. With adult support, children can continue to discover and develop lifelong skills for coping with loss as a part of life. Little Hands is for children ages 3 1/2 to 6 years old (Pre-school - Kindergarten) and gives children a chance to interact with others their own age that have experienced the death of someone very dear to them. 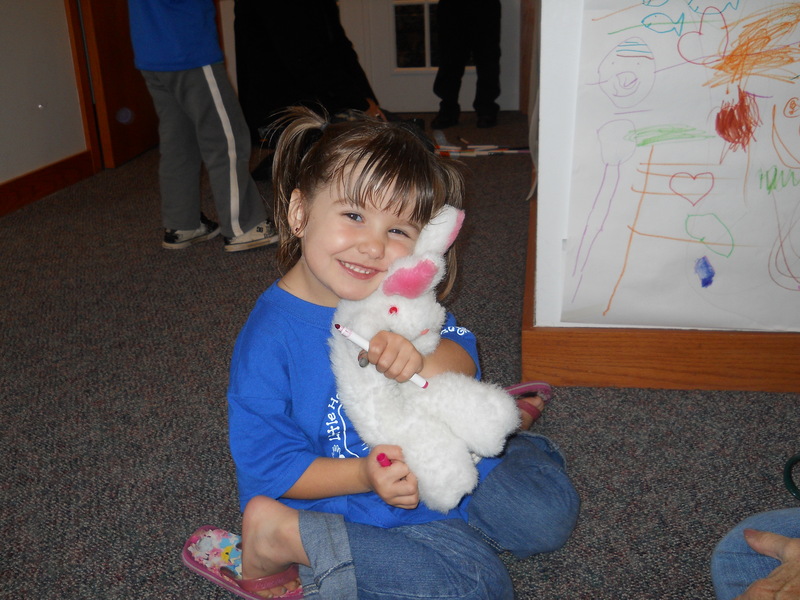 Through play, stories, games, songs, talking about feelings, art and conversations with a bunny puppet named "Hamilton," they find a comfortable place to express their thoughts and feelings. This program is FREE and open to any child in the community. Pre-registration is required to ensure we have enough supplies and staff for the children attending the program. 2nd Annual Little Hands & Healing Hearts Reunion Picnic 2013! 1st Annual Little Hands & Healing Hearts Reunion Picnic 2012!